Respiratory Care Week gives all of us who depend on respiratory therapists a chance to thank them for all they do to make us better. This event takes place during the last full week of October. Although Respiratory Care Week is an international celebration, it occurs mainly in the United States and Canada. These breathing professionals, who work primarily in hospitals, care for patients with breathing difficulties due to chronic conditions like asthma or COPD (Chronic Obstructive Pulmonary Disease). ​Vermont supported the profession by becoming the 48th state to pass a credentialing law. 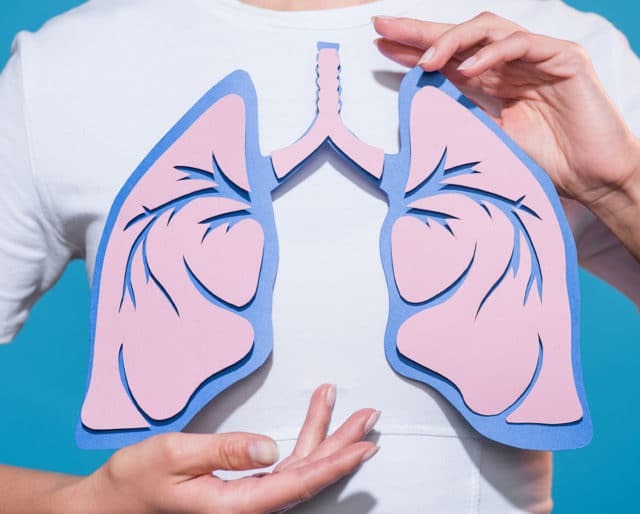 The American Association for Respiratory Care kicked off the first Lung Health Day to take place on the Wednesday of National Respiratory Care Week. He proclaimed the first National Respiratory Care Week in the U.S.
​The American Registry of Inhalation Therapists (ARIT) was assembled to supervise a new credentialing examination. They entered an on-the-job-training program for post-operative patients at Michael Reese Hospital. Respiratory Care Week allows you to get a free health screening and talk with a respiratory therapist. The American Association for Respiratory Care (AARC) sponsors Respiratory Care Week and they have a variety of festivals with free screenings, films, and even yoga demonstrations. Check with the AARC for an event in your community. Send out some emails, print up some flyers, and announce a lunch-and-learn for your coworkers. Your nearby hospital can probably suggest a respiratory therapist who can stop by and chat about respiratory care and even shout out the respiratory therapist profession. It's a great mix-and-mingle during lunch. Take the initiative and set up a colorful display for Respiratory Care Week. Include a table for chats with a respiratory therapist. Maybe the library will allow you to show a film. Use your imagination and show how creative you can be so that we can all breathe easier. ​Did you know that when you inhale you take in oxygen, but when you exhale, you lose up to 0.59 fluid ounces of water per hour? ​Adults can hold their breath between 30 and 60 seconds, but some experienced divers can go as long as 20 minutes when they're underwater. ​There's nothing simple about the common cold which is comprised of over 200 viruses. The ancient Egyptians were so knowledgeable about the internal body that they devised a hieroglyph depicting the lungs attached to the windpipe. ​During the 1930s and 1940s asthmatics sought treatment from psychotherapists. Respiratory therapists care for people not only with chronic breathing conditions, but also those who have suffered heart attacks, strokes, or shock. They work primarily in hospitals and care centers. Students need a two-year associates degree in respiratory therapy from an accredited institution to find entry-level jobs in hospitals upon graduation. According to the U.S. Bureau of Labor Statistics, respiratory therapy is becoming a desirable field. The Bureau estimates that between 2010 and 2020, there will be a 28% increase in the number of respiratory therapists. The growth won't let up as aging Baby Boomers need more specialized care. If you're looking for a high-paying career that will give you the satisfaction of helping others, you can't go wrong with respiratory therapy. In 2011, the national median wage was over $26 per hour or $55,000 per year.